Candy Crush Saga hooks you with its sugary sweet match three gameplay, and you'll need all the cheats and tricks you can get to keep playing. 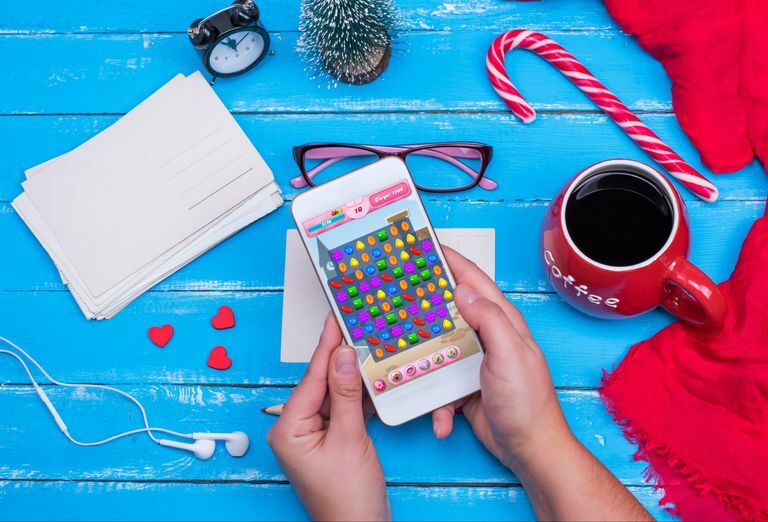 Candy Crush Saga is just as sweet as the delicious treats it features, and twice as a addictive. What started out as a basic Bejeweled clone that you could play right in your web browser now vies for your attention, and your money, on the internet, Facebook, your tablet, and even on your phone. Even though Candy Crush is totally free to play, it can actually turn into one of the most expensive habits you'll ever have. The developer, King, is able to support a free-to-play game like this by selling in-app purchases like extra lives and boosters. If you want to climb all the way to the top of the leaderboards without spending a lot of cash, it's important to take advantage of all the Candy Crush cheats, tips, tricks, and advanced strategies available to you, and we've pulled them all together right here. While there are some ways to cheat the system in Candy Crush, it's extremely important to note that services and programs that promise to hack your Candy Crush game, or give you free lives, boosters, gold, or anything else, are almost always scams. Never download anything, or sign up for any service, from any source that you don't trust, even if it does promise to give you free lives or allow you to skip Candy Crush levels. Even if one of these services did work, King could ban your account if it was discovered, and you would lose all your hard work. Start your candy crushing at the bottom. When you create matches near the bottom of the level, you can easily create chain reactions to destroy more pieces and get a bunch of points. Creating matches at the top is unlikely to have this effect. Don't follow suggestions blindly. If you don't make a move for a while, the game will look for a match and then show it to you by making the candies shake. This is useful, especially for younger and newer players, but don't automatically use these matches. A lot of the time, you'll be able to find a better match on your own. Try to think ahead when possible. If you just make every match you can see without thinking, you'll fail the harder levels. Look at how the candies are laid out, and think about the moves you can make to create a situation where you can make a color bomb or get pieces into place to clear jellies or other threats. Learn how to make, and use, special candies. Matching three candies together only clears those candies, but matching four or five creates a special candy. These special candies are the key to beating harder levels. Look for combos, and use the best ones. Combos, like swiping a color bomb into a striped candy, are extremely powerful. If you can maneuver special candies together, they do a whole lot more good together than they would alone. Use and make striped candy the right way. Striped candy can have horizontal or vertical stripes. The direction you swipe your finger to create the candy matches the direction of the stripes, and the candy will clear a line horizontally or vertically that matches its stripes. Prioritize specific threats in each level. Don't just make any old match you can. If a level has specific threats, like licorice or jelly, then take care of them first. If you don't, you may run out of moves before you can clear the level. If the level has chocolate, go after that first. Focus on edge jellies. It's harder to make matches on the edges, so if you have threats like jellies on the edge of the board, try to clear them first. Don't move ingredients to the edges. Since it's harder to make matches on the edges, you should also avoid moving ingredients to the edges. Always leave, or move, ingredients into a column where you will be able to drop them onto a green arrow. Understand how chocolate works, and deal with it first. Chocolate is a creeping menace that expands to take over more squares each time you make a match anywhere on the board that doesn't clear chocolate. To clear chocolate, make a match that includes any of the four candies immediately above, below, to the left, or to the right of the chocolate. Use special candies, like color bombs, if you need to. Look for extra time candies. If you see candies with a +5 icon, try to include them in a match. These are extra time candies, and they show up in timed levels. If you can use one in a match, you get five extra seconds. Use your boosters sparingly. You will earn boosters as you play, and you can also pay money for them. Save these powerful tools for tough levels, or you won't have them when you need them. Reshuffle especially difficult levels. While the layout and goals of a level are set in stone, the positions of individual candies are totally random. If you start a level and don't like the layout of the candies, you can back out without losing a life if you haven't made any moves. Start the level again, and you might have better positioning. Finish levels with extra moves left for more points. If you still have moves left when you finish a level, jelly fish or striped candies will pop up and earn you more points. The more moves, the more chance that this will trigger a massive cascade of extra points. Set the date forward on your mobile device to get free lives. If you're having trouble and lose all your lives, and you're playing on a mobile device, you can set the date on your device forward one day to get five more lives. Each special candy is formed by creating a match out of a specific formation. Striped candy is the easiest special candy to get. What it does: Clears an entire vertical or horizontal line. How to get it: Match four candies in a horizontal or vertical line. How to use it: Create a match using the striped candy. Wrapped candy is great at getting rid of troublesome licorice. What it does: Destroys all eight candies surrounding it. How to get it: Match five candies in an L or T shape. How to use it: Create a match using the wrapped candy. Color bomb candy can clear a huge portion of the level. What it does: Destroys every single piece of candy of one color. How to get it: Match five candies in a horizontal or vertical line. How to use it: Swipe it onto a candy of any color to destroy all candies that match that color. Keep an eye out for ways to create these patterns, and you'll have a much easier time beating difficult levels. Each special candy in Candy Crush Saga can be combined with every other candy to create awesome effects. Special candies are great at helping clear tough levels, but you can combo them together to achieve even more powerful effects. One of the most important secrets to mastering Candy Crush is learning what each combination does so you can maneuver your special candies into place and unleash massive combos. Striped Candy + Wrapped Candy: Instead of clearing a single vertical or horizontal line, or just clearing the surrounding eight candies, this combo clears three lines both horizontally and vertically. Striped Candy + Color Bomb: The second most powerful combo, this turns every single candy that matches the color of your striped candy into a new striped candy, and they all activate at once. Color Bomb + Color Bomb: The most powerful combo in the game, this literally clears every single item in the level. Color Bomb + Wrapped Candy: All of the jellies that match the color of the wrapped candy turn into wrapped candies and explode at once. This is the weakest color bomb combo, but it's still more powerful than a color bomb by itself. Wrapped Candy + Wrapped Candy: Destroys the eight surrounding candies, then does it again after new candies have settled in place. Striped Candy + Striped Candy: Clears everything in both a horizontal and vertical line. Now that you know what all of the special candies and combinations can do, let's take a closer look at making the special candies. To create a color bomb, create a match of five candies. Color bombs are tremendously powerful, so it's important to always be on the look out for ways to make them. They aren't that tough to make, but they usually won't just fall in your lap. Look for four candies of a single color that are separated by one candy of a different color. Maneuver a fifth candy of the original color into place. Swipe the fifth candy into place to bridge the gap, and create a five candy match. The candies can be either vertical or horizontal. This is the biggest match you can make, which is why it gives such a powerful result. Make a match of four candies to create a striped candy, but pay attention to the direction of the stripes. Striped candies are the easiest ones to make, but they can still be extremely useful. You can also control the properties of a striped candy depending on how you create it, which makes it unique. Look for a set of two same color candies next to each other with third of the same color separated by a single candy of a different color. Maneuver a fourth candy of the original color into place. Swipe the fourth candy into place to bridge the gap, and create a four candy match. The candies can be either horizontal or vertical. If you create a match in a horizontal line, the striped candy will have vertical lines. If you create a match in a vertical line, the candy will have horizontal lines. If you have trouble remembering that, think of it this way: the direction of the lines will match the direction you swiped your finger to create the match. There are two ways to make a wrapped candy in Candy Crush Saga. Wrapped candy can be tough to make, because you need to look for specific patterns. These candies are made by matching five candies, like like color bombs, but they must be in either a T or L formation. Look for four candies in a T or L formation with a single candy of a different color interrupting the match. Swipe the fifth candy into position to create both a horizontal and vertical match, of three candies each, at once. Set the date ahead on your mobile device to get five extra lives. Candy Crush Saga only gives you five lives to work with. That means if you lose five times, you can't play anymore. You can buy extra lives, pay for unlimited lives for a limited amount of time, or even beg your friends for lives. But if you don't want to pay, and you've already asked for your friends, the only option is to put the game down and wait for some time to pass. If you're playing on the Android or iOS version of Candy Crush Saga, you can cheat a little and fool the game into thinking time has passed when it really hasn't. This does involve changing the time on your phone, but you don't need to root, jailbreak, or even install anything. The exact steps will be slightly different depending on which device you use to play the game, but the basic idea is that you need to set the time forward by one day. Play Candy Crush, and run out of lives. Navigate to Date and time. Set the time forward one day. Open Candy Crush, and verify that you got five free lives. Close Candy Crush without playing. Open your Time settings again, and return the day to normal. Open Candy Crush again, and you should still have your five free lives. Temporarily setting the date forward on your device may impact other apps and games. Keep that in mind when using this cheat.